Join our mailing list and stay in the loop. Don't sweat it - we will actually not spam you and keep your personal data secure. their latest track pays homage to Pink Floyd while staying true to their “collaged” sound. 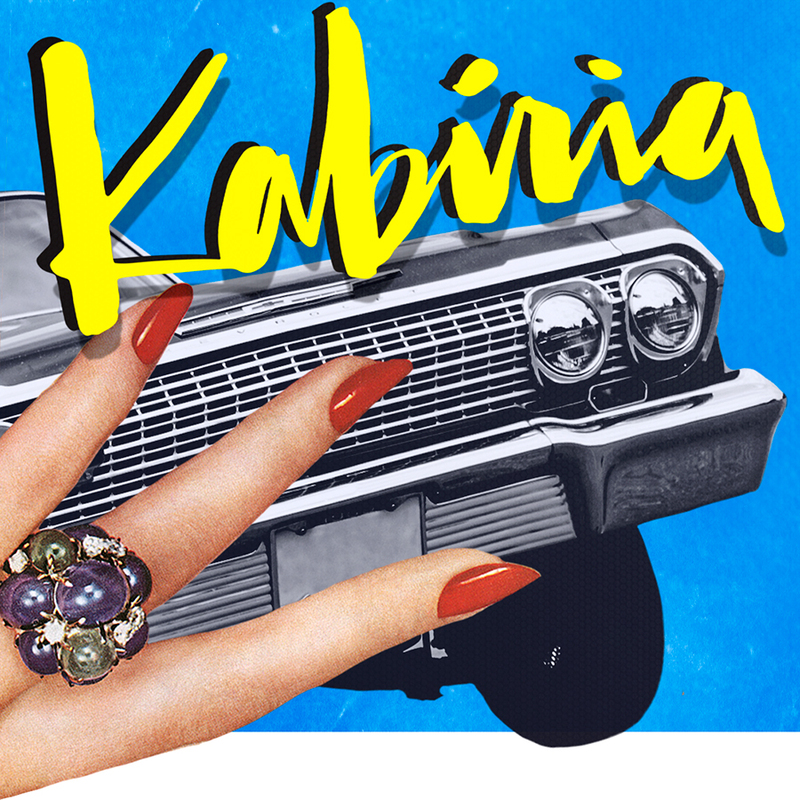 Los Angeles, CA – Los Angeles based KABIRIA’s latest single, “Electronic Geisha”, revives the duo’s previous alt-rock roots for a progressive rock-inspired track enhanced by ambient undertones and emotive vocals. Described by the duo as a love letter to mid-70s era Pink Floyd, the song is a voyage into a new sound for the band. Longtime fans of KABIRIA’s high energy music will likely notice the shift in tempo and emergence of a more organic sound in this latest offering. Straying away from the usual swaggering 3:30 synth pop structure of the duo’s recent releases, “Electronic Geisha” offers a sustained and deeper intensity that spans over 9 minutes with three distinct movements, allowing the listener to become completely immersed in the message and music. “Electronic Geisha” is the result of KABIRIA lyricist/singer Gretchen King’s recent immersion into Roger Water’s critical and philosophical lyrics. In discovering Pink Floyd’s back catalog and re-watching Live at Pompeii and The Wall, Gretchen’s connection to Waters’ lyrics of frustration and disillusionment compelled her to create a song of her own observations and challenges as a female navigating the world today. Captivating lyrics and Gretchen’s expressive voice bring this world into inescapable focus. A world in which achievements in technology are limitless, yet in many cases, one where women still feel they are born into a role of subservience. Guest musician Jeremy Koenker of Vancouver’s Sunset Sound Machine steps in to create textural guitars true to the band’s concept, while acclaimed Mike Patton collaborator Carla Hassett provides epic non-lexical vocals to heighten the bridge’s cinematic feel. Supporting all of this is KABIRIA synth programmer Chris Dang’s atmospheric and ethereal production, drawn from bands such as Massive Attack, Portishead, and Daniel Lanois, to create a unique blend of modern, urban infused psychedelic. While the deftly-executed production brings the diverse talents of players together, it’s the band’s indie/DIY approach that continues to shape their music and create meaning…. Jeremy’s guitars were recorded in his Vancouver basement studio, while Gretchen’s vocals were recorded in her bedroom on her laptop, and Carla in her living room in Silverlake. The final cut features both Jeremy’s and Gretchen’s original demo recordings, giving the track an authentic feel that organically connects to the listener. In a further nod to Pink Floyd, “Electronic Geisha” features “live” drums programmed using a library recorded by Alan Parsons and played by Nick Mason at Abbey Roads studio, giving the right vibe to complement the rest of its Dark Side of the Moon feel. 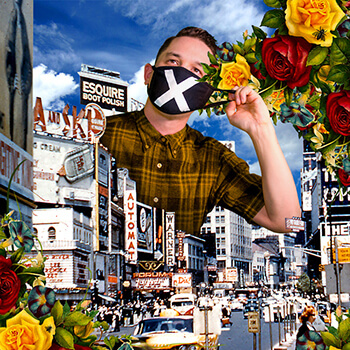 “They really know how to touch on a wide variety of genres without making [it] too obvious, to the point where you don’t realize it unless you’re really thinking about it, because it just sounds so good.” Nick Brutus Grass Younes from IX Daily. 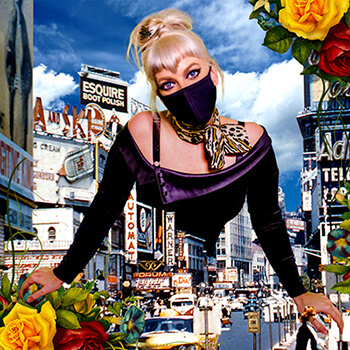 KABIRIA formed in 2014 in Los Angeles, CA, combining Columbus, Ohio native Gretchen King (formerly of Phantods) and Vancouver’s Chris Dang’s (formerly of Autoviolet) diverse musical backgrounds into a new sound that challenges both them and their listeners to look beyond a single genre. In 2016/2017 they took their unique brand of synth-pop and electro-funk on the literal and figurative road, touring South Korea and enjoying a two week residency at the hip hop club “Compton” in Itaewon playing classic West Coast G-Funk. Following their Asian tour, Chris spent the spring scoring an upcoming Netflix documentary. KABIRIA is currently working with US/Korean hip hop label Cycadelic Records/KIWI Media Group, writing and producing music for their hip hop division’s up-and-coming roster of artists, as well as for established Korean artists such as Wassup’s Nada and Killagramz.